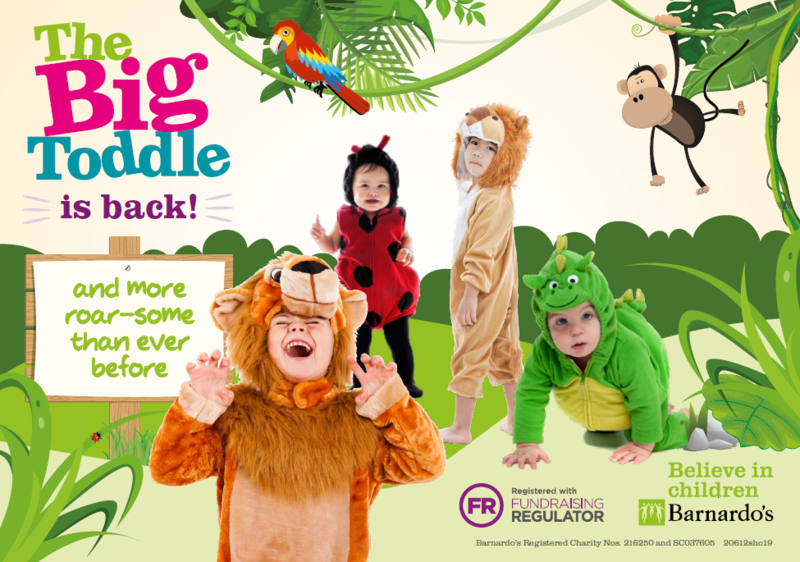 Barnardo’s is once again calling for children, families and nurseries to join in the fun this summer as Big Toddle Week returns with an animal theme from June 24th – 30th. Barnardo’s support some of the most vulnerable children in the UK. Each life-changing service run by Barnardo’s empowers children to feel as brave as a roaring lion, as confident as a cheeky monkey and as fearless as an adventurous shark. Parents, carers and nurseries are encouraged to hold their very own Big Toddles to help raise vital funds; this could involve a community Big Toddle, one for families and friends or one organised by nurseries or primary schools. Barnardo’s Chief Executive Javed Khan said: “The Big Toddle is a great opportunity for the under-5s to have fun with their friends and families and raise money to help vulnerable children.